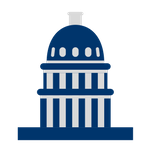 Since 2006, The Chesapeake Group has offered legislative representation and coordination for our clients, developing a comprehensive lobbying and governmental affairs approach tailored to fit their needs. We have extensive experience and a successful track record representing and promoting our clients' interests before the legislature and regulatory bodies, aided by our relationships with legislators and executive branch officials and staff. Our firm represents businesses and trade associations throughout Louisiana. By utilizing the state's premier legislative tracking technology, our clients stay ahead of the curve by receiving detailed weekly reports on the activity in Baton Rouge. With all this in our arsenal, The Chesapeake Group provides the additional support to be an effective force for our clients. The Chesapeake Group works with your public relations department to ensure the proper, relevant message is crafted in support of your legislative goals. Additionally, we work with some of the most successful governmental public relations firms to support that message, ushering the most effective delivery on any issue, with any client.